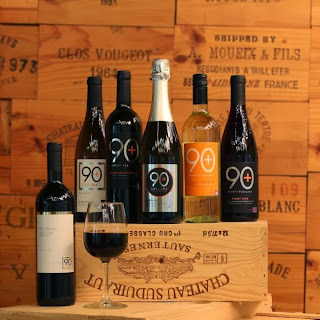 Until recently I had not heard of 90+ Cellars which is somewhat surprising since they combine two of my favorite things - wine and a good price! 90+ Cellars was created in the summer of 2009 with the goal of selling good wine at a fraction of the original cost. Each year the 90+ Cellars team tastes hundreds of wines from all over the world, selects the best for the 90+ Cellars label, and offers them at up to 50% less than the original label’s price. Pretty cool, huh? I recently took several bottles to our Thanksgiving celebration and they were a big hit with my family. White is always my favorite but they have red, white, rose, and sparkling wines so you're sure to find one that fits your likes. You can buy them at a store near you or also order online. 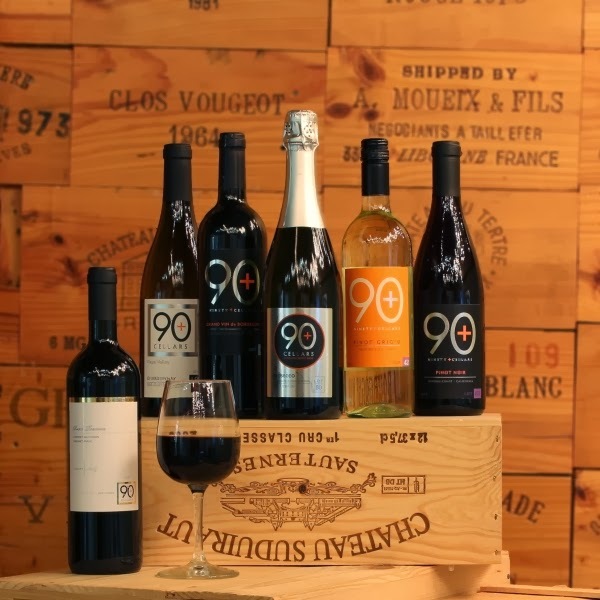 90+ Cellars has also recently started a Wine Club. With membership to the wine club, you receive four quality shipments of wine that represent their best each season. You can choose if you'd like red, white, or a combination of both. They also include tasting notes and additional wine information for each shipment to enhance your drinking experience. Plus, you also receive 15% off any orders at the online store outside of the wine club. Being part of the wine club might help to get you out of the rut of just grabbing the same bottle at the store each time. I like that you get to try wines that you may never have thought to purchase before. Plus, with the 90+ Cellars brand you can enjoy a really nice wine without breaking the bank. A win/win! Stuck for a gift idea? Think about giving the gift of wine club. Have to grab a bottle of wine on the way to a party? Keep an eye out for the 90+ Cellars label!